Searching for the perfect cup of coffee? Look no further! The process is called “Crema Coffee” because it always comes with a fine foam or “Crema” on top of each cup of coffee. Pressure Brewing provides the freshest cup of coffee in the world. The taste is superior because flavor is sealed in with the “Crema”. Every cup is individually ground and brewed in less than 60 seconds. No waste. The Farquest uses fewer beans to brew each cup of coffee saving money in the end. Cost effective. With the “Bypass Chute” a variety of coffees can be made by the cup eliminating many brew pots and waste. Used coffee grounds can also be recycled as compost. 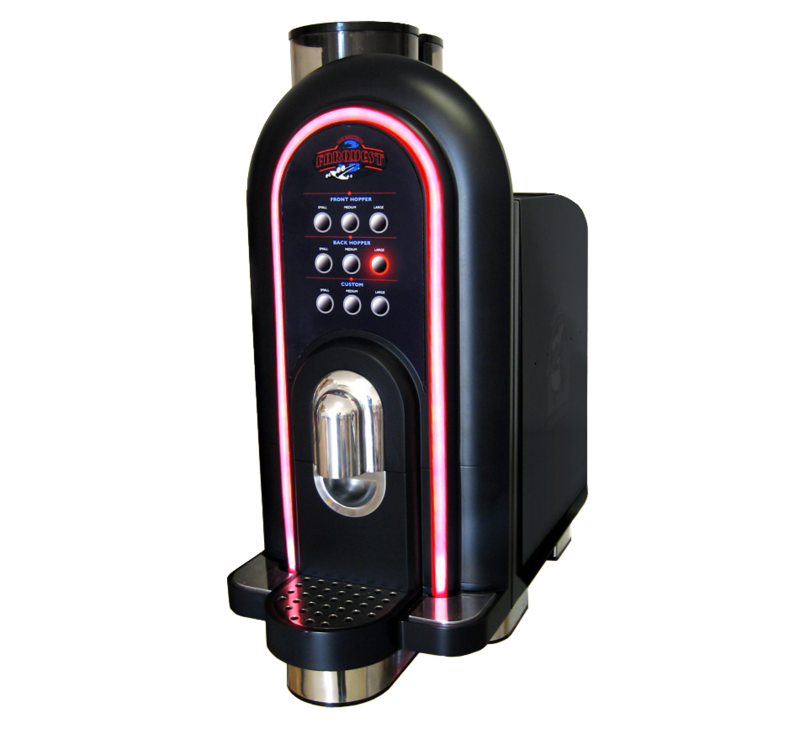 Jack Rockwell has a patented formula that allows us to brew a fresh cup of coffee in seconds. The patent covers the formula for brewing a new form of North American coffee but taste similar to that of the popular “French Press” which is made in exclusive coffee houses across the United States. Additionally, Jack Rockwell has an apparatus patent on our innovative chamber and piston, which complements the patented formula to produce freshly brewed American style coffee by the cup. The process is called “Crema Coffee” because it always comes with a fine foam or “Crema” on top of each cup of coffee. Have a rep contact you. View Demo or set up personal demo.